Do you ever wonder what life could have looked like? I marvel at how God worked out so many ‘what if’ scenarios to get me to be where I am. How different could it have looked if at just one those pivotal moments I had chosen the other option. Life is full of those kind of moment. We’ve all had them and, we will all have them again. I may think that the substance of my life is based on what I can accomplish, how successful I am or what I accumulate along the way but I have come to recognise in reality, it’s not. A life isn’t only built by all that we can see. Instead it is built by all that we cannot see. I think this is why I love that I get to do what I get to, play my part in building local church. It’s too big for me to congratulate myself. In the breadth of eternity, what I’ve contributed is tiny. And it’s not mine anyway – it belongs to Jesus, I am just a willing particpant, here to serve in the building. 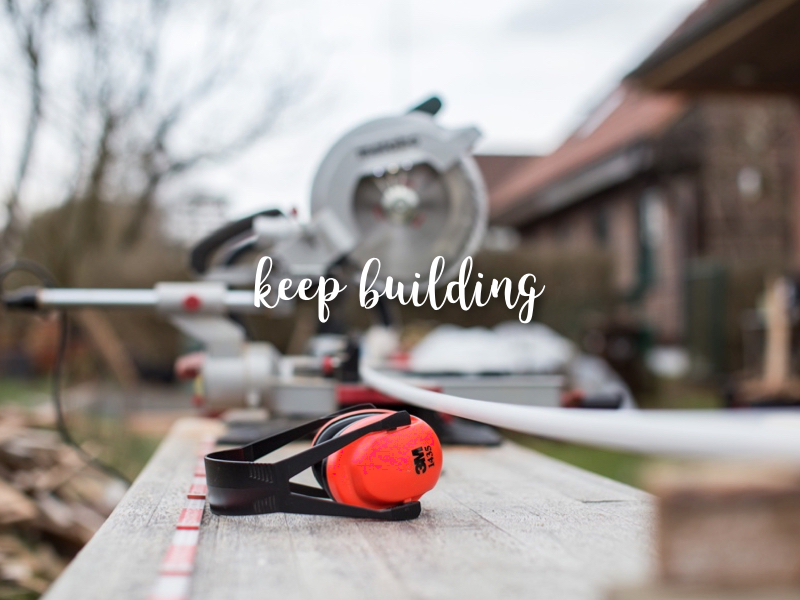 When I get busy being someone who helps build Gods House, His church, my eyes are taken off the here and now, what I may think is important and they become fixed on what God wants. The things I can’t take with me. The things that are not temporary but eternal. Things like…. A different kind of legacy. I love Hebrews 11 where we read about a whole bunch of people who gave their lives for something they didn’t even get to see in the here and now. And they were happy with that. They weren’t wanting to build something that could be seen now except to bring glory to their God. What they really built was an unseen future, one which others would get to enjoy in the here and now along with one they would enjoy for all of eternity. Let’s be builders of the unseen. Less worried about what we have and give our lives to building others, building the church and thereby building our eternal future. Which Christmas Will You Have This Year? Yesterday was a great day in Church. Every generation celebrating Jesus in the best ways. Plus we had we so much fun, loads of creativity on show, people using their gifts and talents to show off their love for God. And mince pies too. Does it get any better? 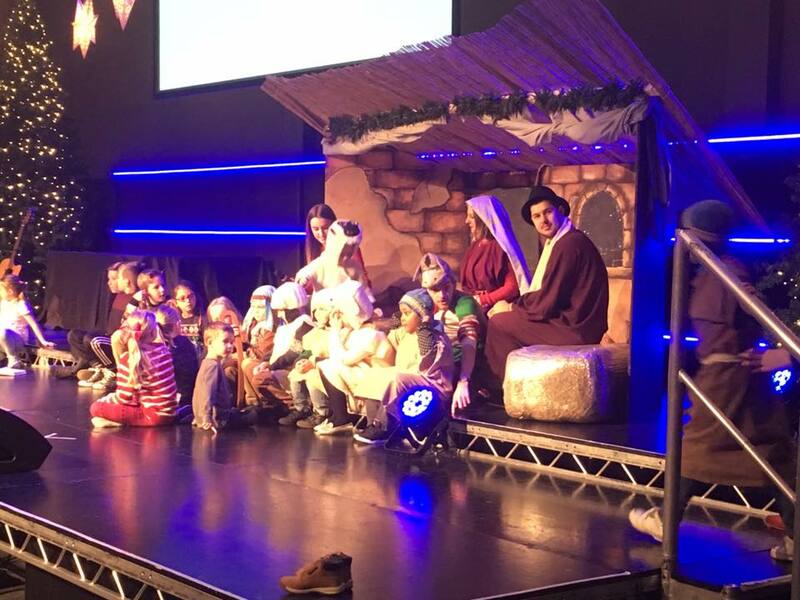 With the help of children and parents, we built a nativity yesterday at Xcel Church which wasn’t quite complete. NO JESUS. Too many have a Christmas full of the trimmings ~ the food, the drink, the presents, time with family and friends but it ends up being one with NO JESUS. Nothing wrong with all of those. Christmas without Jesus is an empty or half-filled Christmas. Seemingly full of all the right things yet not truly satisfying. God’s desire is that we have a Christmas where we KNOW JESUS. One where we put Jesus at the centre of all the celebrations. This Christmas receive more that just a gift from a friend, receive the greatest gift and KNOW JESUS. He came to bring life and light to all the world. He came to seek and save that which was lost. He came to reconnect us to God. He cam to forgive us from all of our wrongdoing. He came to bring life in all its fullness. Spread the word this Christmas. Make sure to take a moment to KNOW JESUS and thank Him for coming from heaven to earth. Why not ask others if they would like to invite Jesus into their life this Christmas, to go from a place of NO JESUS to a life where they can begin to KNOW JESUS. If you want to KNOW JESUS this Christmas then why not prayer this simple prayer of salvation to invite Jesus into your life. DEAR GOD, I AM PRAYING BECAUSE I KNOW I NEED A SAVIOUR. THIS CHRISTMAS I AM DECIDING TO BELIEVE THAT JESUS IS THE SON OF GOD, THAT HE DIED FOR MY SINS AND THEN ROSE AGAIN ON THE THIRD DAY. I AM ASKING YOU GOD TO FORGIVE MY SINS AND I BELIEVE THROUGH JESUS, I AM FORGIVEN. AMEN. Excited about the message for this Sunday night at Xcel. Traditions can be both good and bad. Is there life in it? Or has it just become something we do because we always have? Maybe this Christmas it’s time to break with some old traditions and begin some new ones. 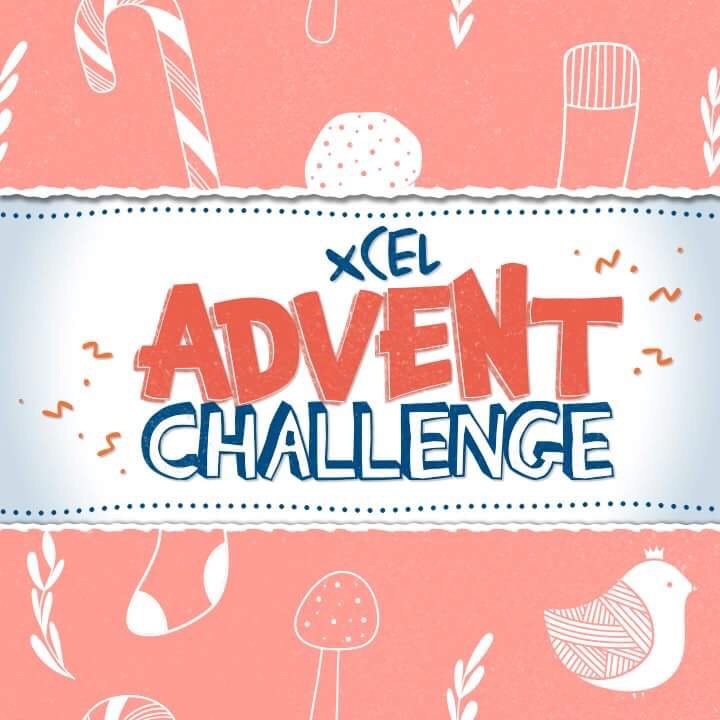 To help in this message we will be launching the #xceladventchallenge and I’m designating United @ 5 this week ‘Sticker Sunday’. Don’t stay away. Why not come along and find out what I mean, join in the fun and the journey. Let’s mess with Christmas this year and see what God might have us to do. Our team across all that we do are amazing. Loved hearing about the Quiz from this week and people meeting people for the first time. The presence of God. How desperate are you for some of that? Watching people of all ages connecting with one another, encouraging each other and worshipping together. For messages that are not just about your Sunday but much more for your Monday. Today was all about connection and being the best Kingdom people we can be. Helping people take their next step on the Growth Track. Next one starts in January. Telling people that those they have done the Growth Track with actually live round the corner. ‘We’re neighbours’. Wow, it’s Sunday tomorrow. Some weeks it seems to come round really quick. I pray you have/have had a fantastic Saturday, whatever you are putting your hand to today. Let me encourage you to be in church tomorrow. What a great way to launch yourself into another 7 days by deliberately choosing to spend time in the House of God. Why? 7 quick reasons why being in Church is so good…. There is no substitute for the presence of God. We can spur one another one. We can pray for another. We can celebrate with one another. Our faith can be built up. As believers, it’s just something we should do. Plus, it’s just not the same without you there. In reality there are just too many reasons to list. I recognise that life may be difficult right now and being in church might seem like the last place you want to be, yet that is when it becomes the most important place to be. Let’s gather together. Let’s worship together. Let’s honour our God together. Let’s keep connecting and making a difference together. Let’s keep being inventive in how we do all of these. And whether you make it or not, have a blessed Sunday. Can I just ask that if you love God you give Him a moment, grab 5 minutes if that’s all you have to tell Him thank you and to give Him permissions to be involved in your stuff. 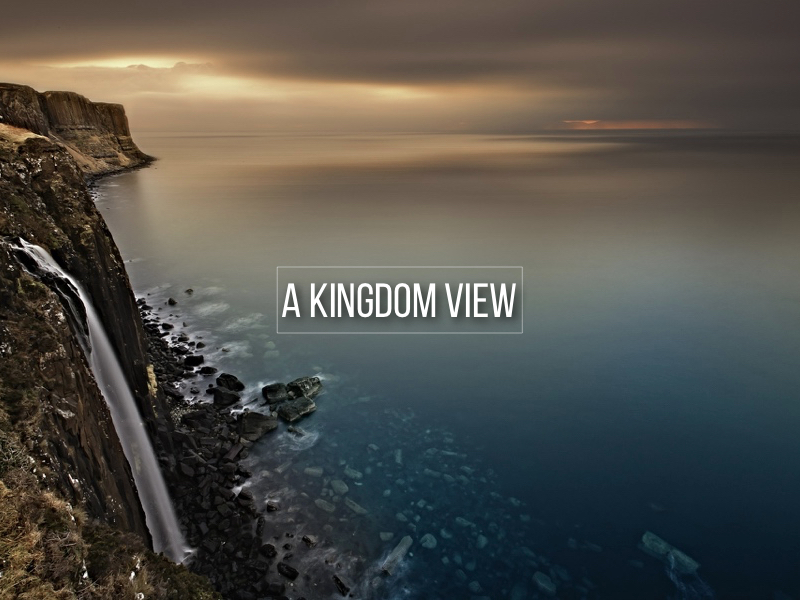 We have been talking about the Kingdom for a few weeks now in church. From the big foundational aspects through to how being a citizen of the Kingdom influences our every day. In my messages I have been giving the congregation a gentle push, a call to action, to not just be ‘ready, willing and available’ but to actually DO SOMETHING. It doesn’t need to be grand, just something. And I’m not going to ask anyone to do anything that I will not get involved with or do myself. So last night we had a quiz in one of the local Community Halls and it was great. Simple. Uncomplicated. Meeting people we didn’t know. A good laugh too. Turns our being Kingdom citizens isn’t as difficult as we make it out to be. Thanks to everyone who helped make it happen, baking cakes, having conversations and just being normal people who happen to have Jesus in their lives. What’s your story of connection? What shall we do next? I do enjoy a good day at church and yesterday was a particularly good one. We had an all church ‘unlearning*’ experience. Check out the video here. It was the perfect example of a recent post about the Presence and the Practical. 1. We didn’t just do Sunday church. We went outside of the walls to be church. No guitars in sight. No Bibles carried. There was a song sung in a couple of nursing homes but mostly just a bunch of people from Xcel out and about loving on their community. 2 It’s not such a big deal. We make it that everything has to be epic and when it can’t be we don’t bother. Yesterday was just ordinary and that is perfect. 3. It was a good laugh. It was genuinely good fun going out and about to clear away rubbish, to give some cakes out and play a bit of sport. 4. The unexpected can happen. Like one team being asked to sing to the elderly and invites back. To reconnecting with people we have helped 7 years before and they still remember us. 5. People really appreciate it. Lots of smiles and grateful thanks. Lots of curiosity to as to why we would be doing all this. There’s a price to pay. You have to do things that are not naturally what you would choose to do. In doing so you open up new pathways of opportunity. And if nothing else, you’ve loved on people in a way that helps them and surely that can only be a good thing. (*I realise some of us needed to unlearn more than others, myself included as I continue on this adventure of mucking in and being involved with others as much as I can). The recent advertising campaign by Ford challenged us to UNLEARN. Ultimately they are wanting us to think differently about cars made by Ford. To see Ford differently. The strap line they used was to ‘let go of what you know’. See the video here. For a few weeks now I have been thinking about this UNLEARN idea from a local church perspective and genuinely want to hear your thoughts. You may or may not be part of a church, that doesn’t matter. Let me just say, I am not looking for an opportunity to become liberal in the message – the Good News of Jesus is just that and it will not change. I am not about to make some parts easier to swallow just because they challenge us. We all know the ‘how’ part can be amended. Perhaps the UNLEARN is part of this. Q1: What would it mean to UNLEARN church? Q2: What do we need to UNLEARN to see our churches vision happen? Q3: What do we think people not in church need to UNLEARN about church? Be honest. Be creative. Think outside the box. Think about others. Be encouraging and positive. Keep it simple (so I can understand it). 3. Finally – let me know if you are a church goer as this will give me some context for your answers. Let’s start a conversation and maybe UNLEARN church, seeing it as an opportunity to ‘let go of what we know’ and to learn something new that may be of benefit for those of us already in church and possibly of even greater benefit for those who are not going to church right now. I know some of you are going to love this opportunity and thanks for getting involved.